An impromptu dessert I made some weeks ago for a private party of Booze, Food and Friends. Each of us are supposed to bring a dish or 2 or even more if you can. I made this while in the shop. Chill it in our shop's chiller and packed it using whenever we have in our shop. No leftovers after the party. And then I made it again 2 weeks after that for the family at home. I used the cupcake boxes I sell in my shop to transport this. Its a box with square base inserts for Hokkaido cupcakes. 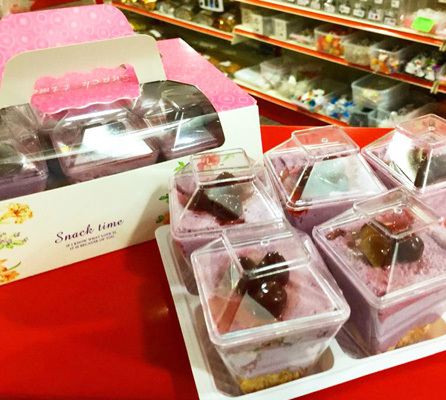 But since my dessert cups are square at the base, these boxes fit nicely. These are made at home, this round I added more Kirsch Cherry liquer from the big jar and left it for several hours. 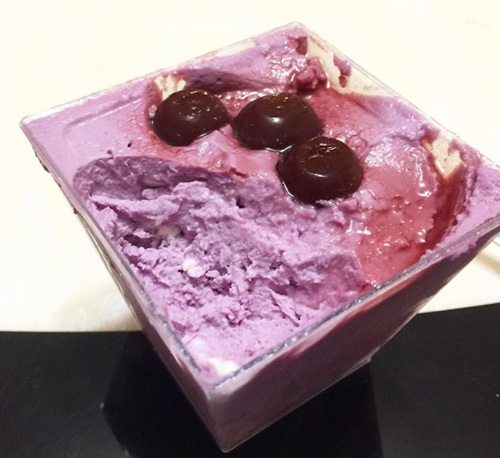 The cherry liquer soaked through the mascarpone cheese and turn it into a nice purple hue. 1. 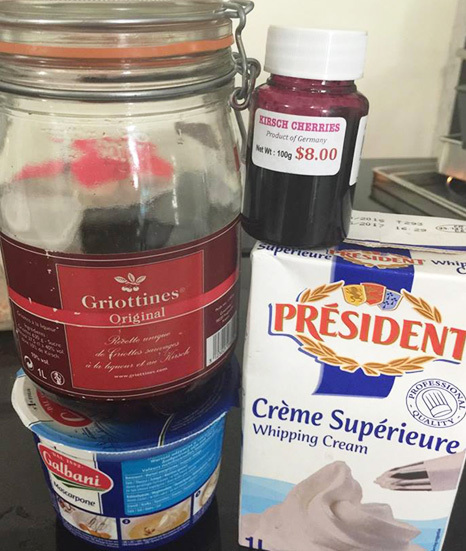 In a mixer, add cheese, cream and Kirsch Cherry paste to whisk till soft peak. 2. 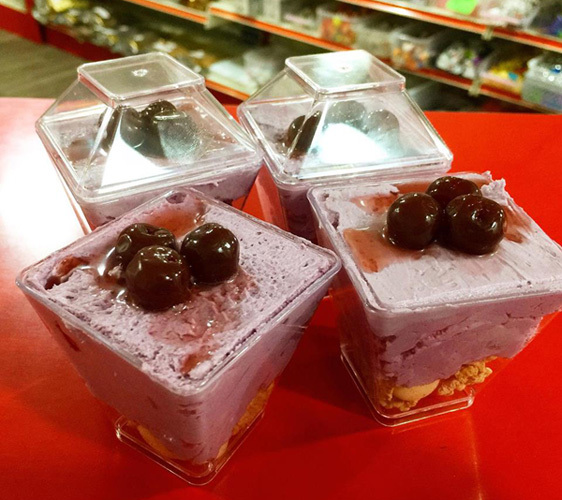 Remove and placed in dessert cups till 80% full. 3. Add 3 kirsch cherries on top and 1 tsp of Kirsch Cherry liquer over the cherries. Leave it in the fridge to chill for at least 4 to 6 hours. You can add oatbran flakes at the base of the dessert cup , to give it a nice crunch. Or you can leave it 'naked' like I did the 2nd time round. I didn't add any sugar as the liquer and cherries are very flavourful and sweetens the dessert perfectly.